The 2020 Census is just two-and-a-half years away. The Census Bureau is setting up field operations and data capture systems, address lists, geographic data, and more. States and State Data Centers are partners in some of this preparation. States share an interest in the Census’s goal of a complete and accurate count of the nation’s population. This report summarizes the state’s answers and status of preparations as of September 2017. These answers will change over the next 1-2 years, particularly with respect to upcoming program activities that are expected but will not formally begin until 2018 or beyond. Question: Does your SDC or State government have plans for 2020 Census outreach, engagement, or promotion? If so, please describe. 4 states did not participate in the survey. 1 state skipped this question on the survey. Question: Does your SDC or State government have plans for LUCA? Choose one (or more) statements that best describes plans. 35 states have agencies (including 26 SDC State Leads) registering for LUCA data review. 21 states (and 21 SDC State Leads) are providing outreach and promotion, or hosting meetings. 17 states (including 14 SDC State Leads) are providing technical expertise or consultation. 8 states (including 5 SDC State Leads) are providing validation data resources to local LUCA participants. 7 states (and 7 SDC State Leads) indicated they were considering the LUCA program and had not reached a decision at the time of survey. Question: Does your SDC or State government plan to participate in OTHER 2020 Census preparations? If so, please describe. Question: Does your SDC or State government have (or plan to have) DEDICATED FUNDING for any of the 2020 Census activities discussed above? Question: If you answered ‘Yes’ or ‘Not Yet’ to the previous question, please provide budget details. Question: What are your SDC or agency’s roles in 2020 Census? Check all that apply. More states are likely to become involved; these numbers will likely rise. 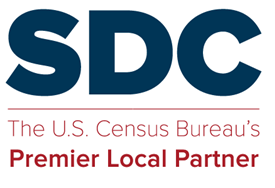 Question: Does your SDC need any advice in preparing for 2020 Census? Please describe your greatest concern or need. Question: What were your SDC or agency’s roles in 2010 Census programs? Check all that apply. 26 states (including 21 SDC State Leads) participated in LUCA (2007-2008). 23 states (including 19 SDC States Leads) staffed Complete Count Commissions (2008-2010). 16 states (including 15 SDC States Leads) participated in PSAP (2008-2009). 26 states (including 25 SDC States Leads) participated in PUMA areas delineation (2011). 35 states (including 33 SDC States Leads) were involved in outreach and promotion of 2010 Census. 11 states (including 9 SDC States Leads) had a role in post-2010 redistricting. This survey was administered by Metropolitan Council, a government agency in Minnesota, as a service to the Census SDC steering committee. The information collected here is public data, per the disclosure notice provided to respondents, and per Minnesota Statutes, Chapter 13. Collected data is available to SDC agencies and Census Bureau staff. This summary report was prepared by Mallory Bateman, Utah SDC, and Todd Graham, Metropolitan Council (Minnesota). Comments and corrections can be directed to Todd Graham, SDC Steering Committee. This entry was posted in Sharing, Tips and Documentation and tagged 2020 Census, 2020 Census Geographic Programs, 2020 Census Partnership and Complete Count Comm.